"Located approximately three hours northeast of Toronto, Ontario, this 3,300 sq. ft. retreat is carefully situated along the shores of Contau Lake on a remote, seasonally isolated woodland spanning nearly 100 acres. Recalling childhood adventures exploring the surrounding lakes and forest, the clients wished to share this unique place with others by creating a place of reprieve to be rented to vacationing families. Nestled between the lake and an adjacent granite rock-face rising up to the south, the retreat serves as a jumping-off point to an expansive private trail network fashioned by the client. A series of delicate canoe docks and boardwalks knit shallow marshes with hilltop perches, urging exploration by both water and land. Vehicular access ends at the property, which backs onto government Crown Lands, creating a truly remote sensory experience. You can experience four seasons, in luxury. Lake views, forest views, sound system, gourmet kitchen, BBQ, mini bar, outdoor living spaces, screen porch, wood burning fireplaces, fire pits, hot tub, soaking tub, sauna, swimming platform, canoes, kayaks and groomed trails. Amazing! You can relax and explore spring, summer, winter or fall. The privacy. 100 acres and just a 2.5 hr drive from Toronto? 1,300 feet of secluded shoreline and over 5 kms of private groomed hiking trails and boardwalks? Incredible! 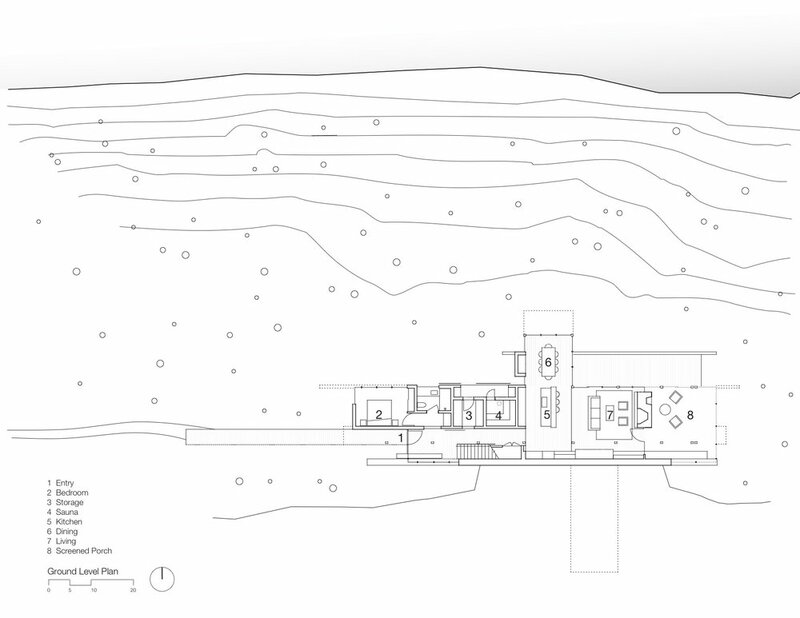 Architecture that is both modern + rustic. 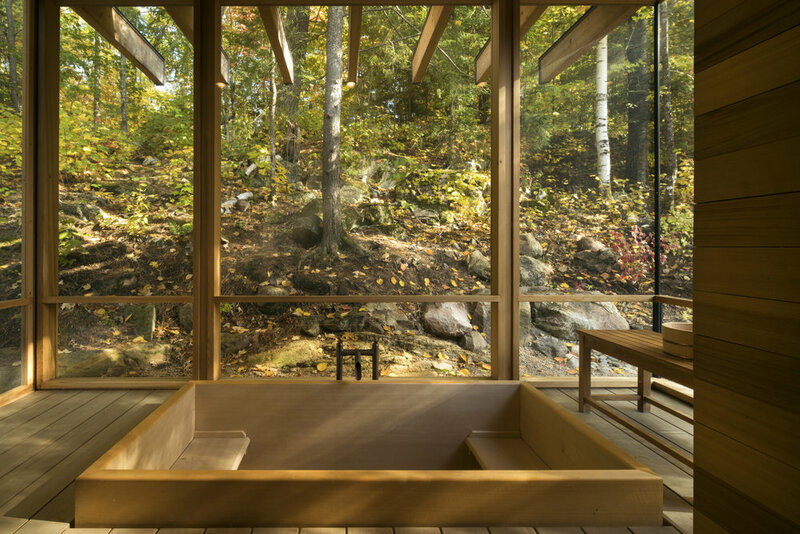 Clean lines and expanses of glass are perfectly fused with a traditional Canadian wood cabin feel. Beautifully done. You can bring the whole family. Bear Stand sleeps 12! The bunk room looks amazing! Please note that the primary renter must be 35+ years old. 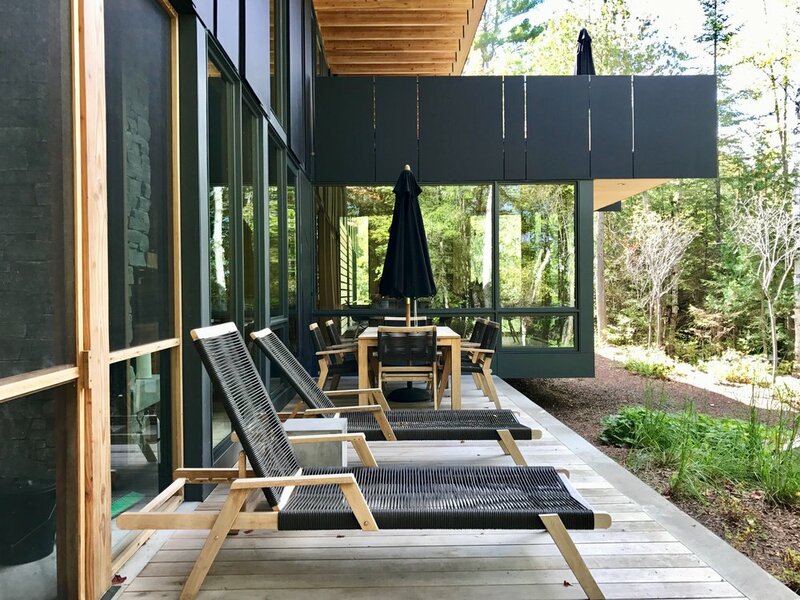 Since 1965, Bohlin Cywinski Jackson has received more than 625 regional, national and international design awards, including three Committee on the Environment Top Ten Green Project awards from the American Institute of Architects (AIA).